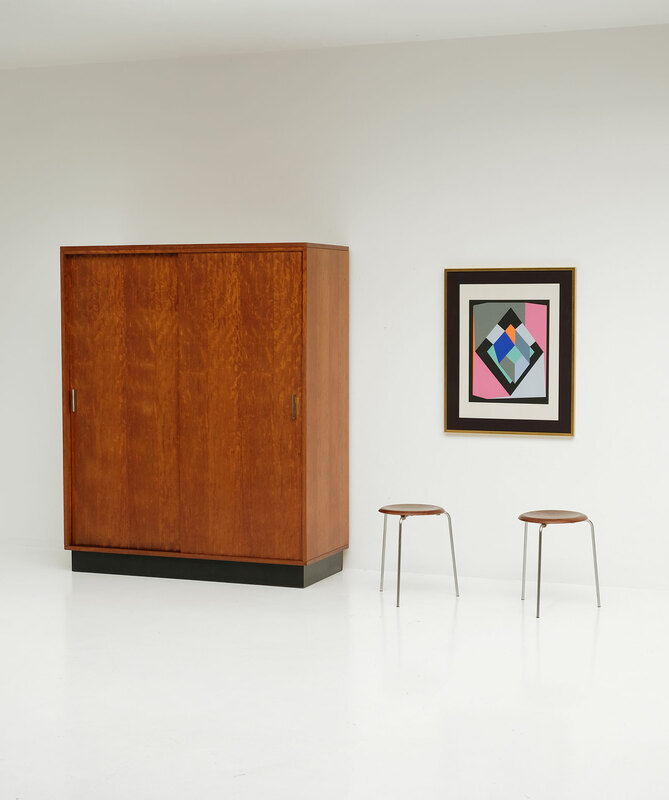 Wardrobe ideal for a small space or studio. 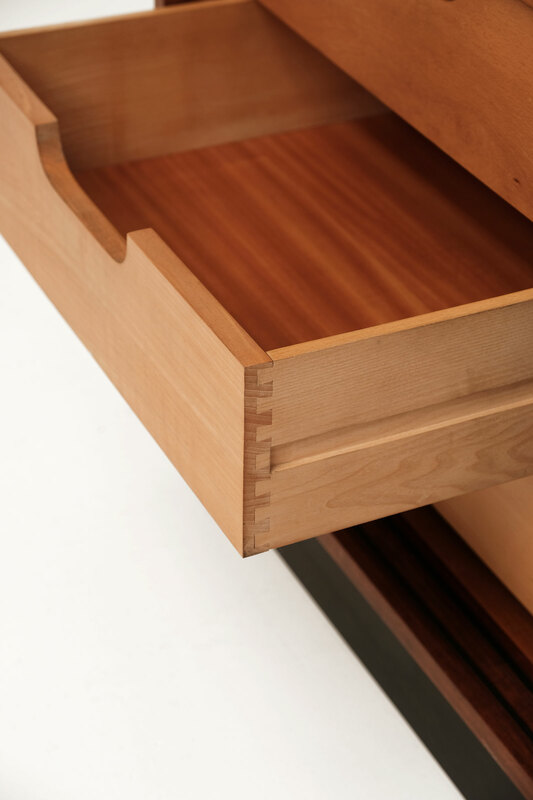 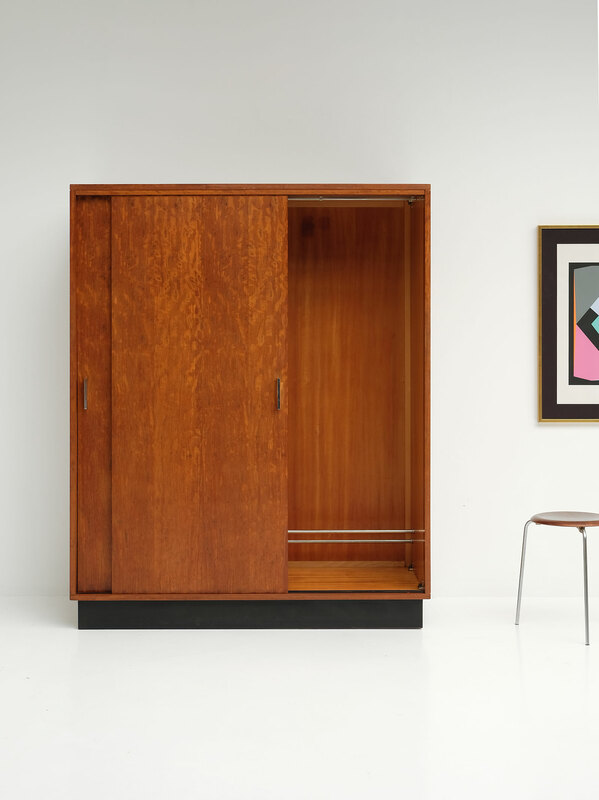 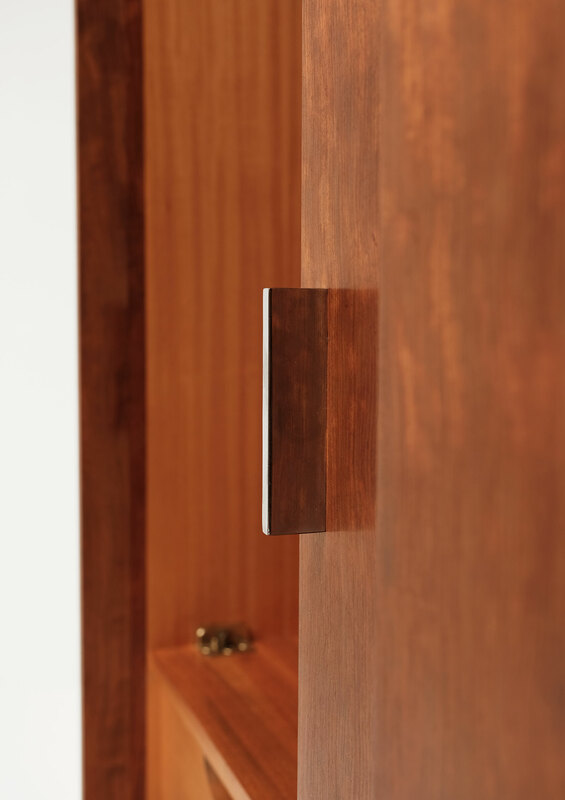 The wardrobe was designed in the mid 60s by Alfred Hendrickx for Belform. 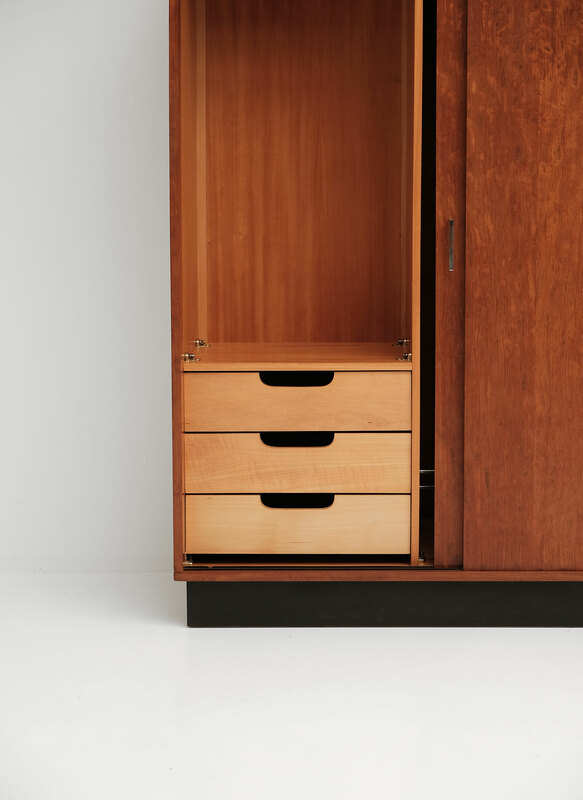 The item contains 3 drawers, a shoe rack and various clothing hooks. 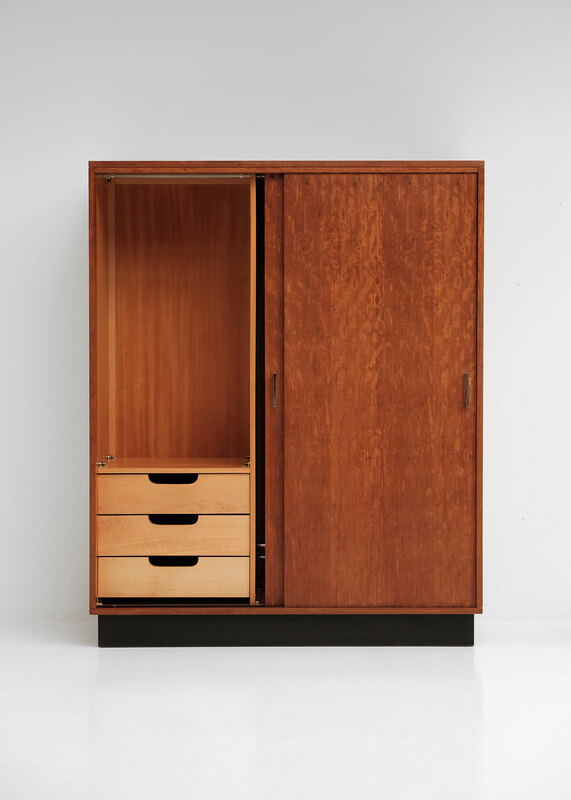 The wardrobe reamains in a good condition and has a unique wood pattern and color.